I'm curious what ricer exhaust is on the car? I'm guessing a Comptech to match the intake. It would also be "period correct"
I will hold out sell when my 03 is worth a nice even $100k . Can that guy please take his sunglasses off?! Clueless comments. Horrible buy at $45K. Last edited by freq; 01-17-2019 at 06:32 PM. wonder what it will go for. The sunglass guy has an eye disease that wearing sun glasses helps him out with. But, as just mentioned above- $45,0000- plus fees comes to a few thousand more- $49,500. Some remarks on the sale- the block helper dropped the hood as well when closing it. The presenter couldn't figure AP1 vs. AP2- no harm but you can tell BJ is a primarily domestic iron auction. So, all s2000's are great cars, but why is this not the year to have at $45,000? 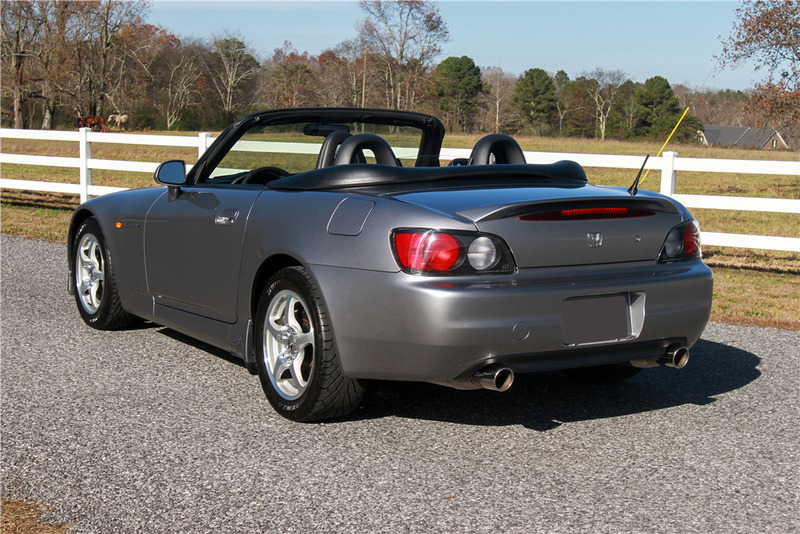 For north america, the mid 2002 and 2003 were the best of the AP1 version (convertible top/ECU/oil banjo bolts/interior). The other surprise of the BJ auction so far was the silver 2001 NSX, VIN 00001 which sold for $99,000- as equipped with an automatic transmission- just mental. Make you money, spend your money. Last edited by darcyw; 01-18-2019 at 05:34 PM. Keep in mind another AP1 w/1k miles sold on BaT last November for $48k+fees. Reduced power to 252hp (from a 3.0L, vs. a 290hp 3.2L in the NA2), 4-speed, torque converter... really sad state of affairs coupled with a low torque, high-redline engine. Some remarks on the sale- the block helper dropped the hood as well when closing it.